RE/MAX Signs - What's the Difference? 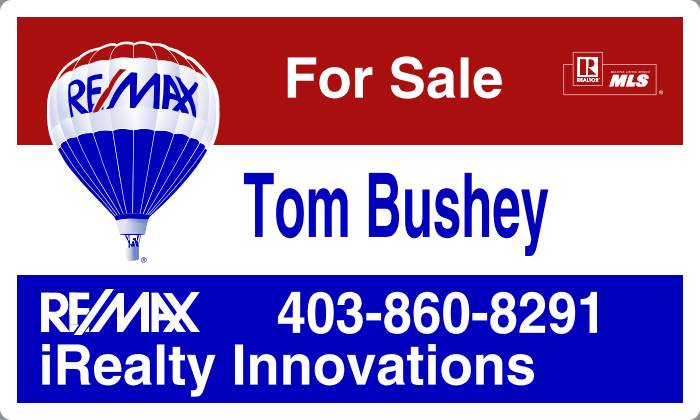 You've probably been driving around Calgary and have seen several RE/MAX® Real Estate Signs. RE/MAX actually has some of the strictest real estate signage rules among all the various real estate brands (both franchised and independent). The colours, the style, the layout and the content are strictly defined by our corporate offices. Currently, there are two basic styles. Both indicate which franchisee is being represented in the bottom line of each sign. In Calgary, for example, there are over 10 different RE/MAX offices working the city so you may see a sign from any one of them. The individual real estate agent's name is also required to be on the sign (and the name has to be the one that is registered on their provincial real estate licence. A nick name, if used, must be on the licence too.) Team names are permitted, but they should always include the name of the individual agent that has the listing. The left sign is the standard sign used by RE/MAX agents world-wide. It can often be considered the most recognized sign in real estate and what consumers can recognize without even having to read it. The requirements for using "The RE/MAX Collection" signage is that is, in fact, a premium property. For the last few years the definition for within the City of Calgary is that any listing that is priced over $1,000,000 may use the sign if they wish. Homes priced below $1,000,000 within the city are not permitted these signs. Are all homes priced over $1,000,000 required to have the premium signs? No. In a few cases it's not appropriate (like a foreclosure, bank sale or distress property priced over $1,000,000). In most cases, however, the agent doesn't have an inventory of the premium signs and doesn't want to incur an additional expense. 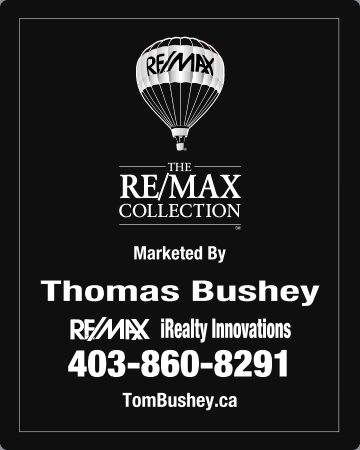 So, in driving around Calgary, if you see a black RE/MAX sign you may assume the listed price is above $1,000,000. Like all franchise organizations, there are a few operators that don't conform to brand standards. There are a ton of customizations (most without authorization). There are a few agents using the premium signs on entry-level homes. None of these are permitted and it is up to the individual franchise owner to deal with the issue and if they won't, RE/MAX regional office has the ability to deal with it under the franchise agreement, up to and including forcing the agent out of the franchise. The strength of any brand, especially real estate franchises, is based on every member following brand and business operating standards.